Otters Creek River Cottage (self-catering, sleeps 8) is situated within the Kogelberg Biosphere Reserve, on a 9Ha smallholding along the Buffels River, which borders Pringle Bay. 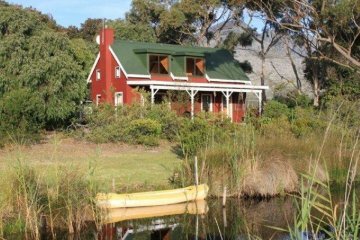 The secluded location of River Cottage offers privacy and tranquillity, although it is only 3km from the village centre. 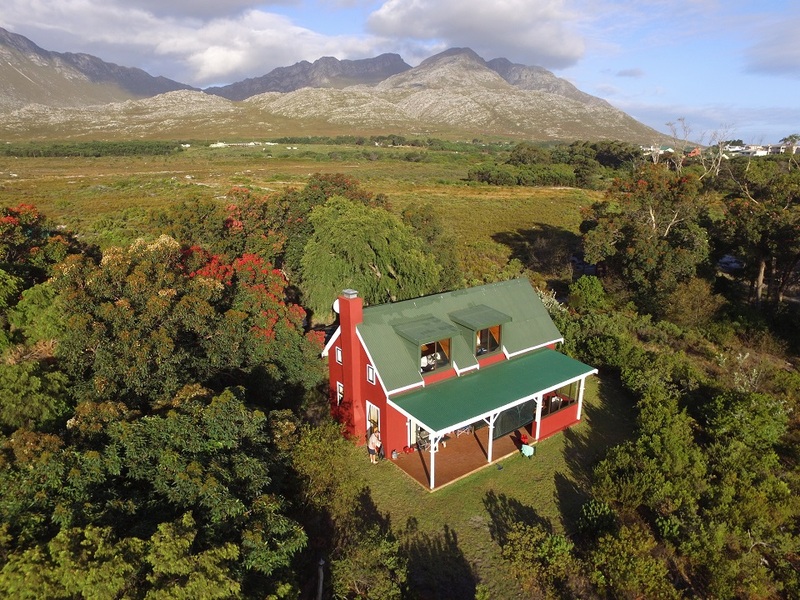 This seaside village is an hour's drive from Cape Town, along the beautiful scenic road between Gordon's Bay and Hermanus in the Western Cape. 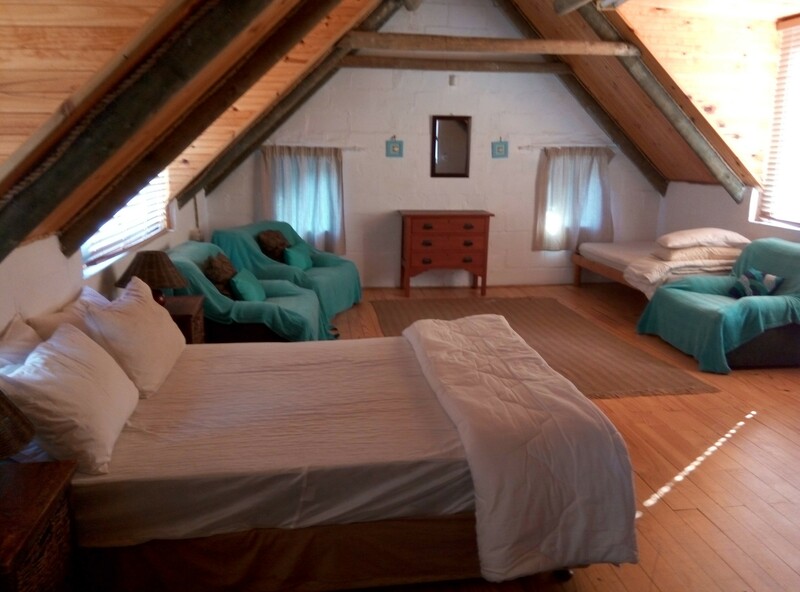 The rustic cottage has two bedrooms and a loft, and can sleep up to 8 people. Bring your own bedding and towels. 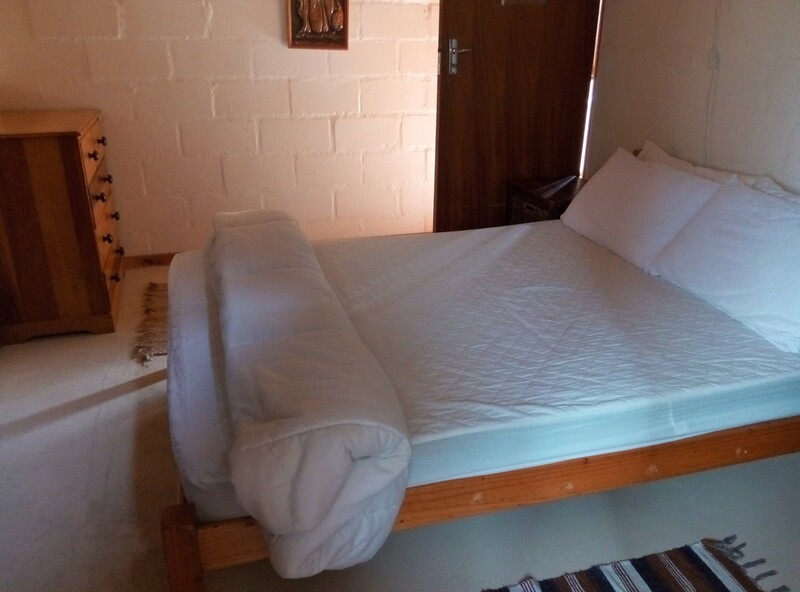 Duvet inners, mattress protectors, pillows and pillow protectors are provided. There is a bathroom and an outside, enclosed, hot water shower. The fully-equipped kitchen includes a dishwasher. The open-plan living area includes a fireplace. 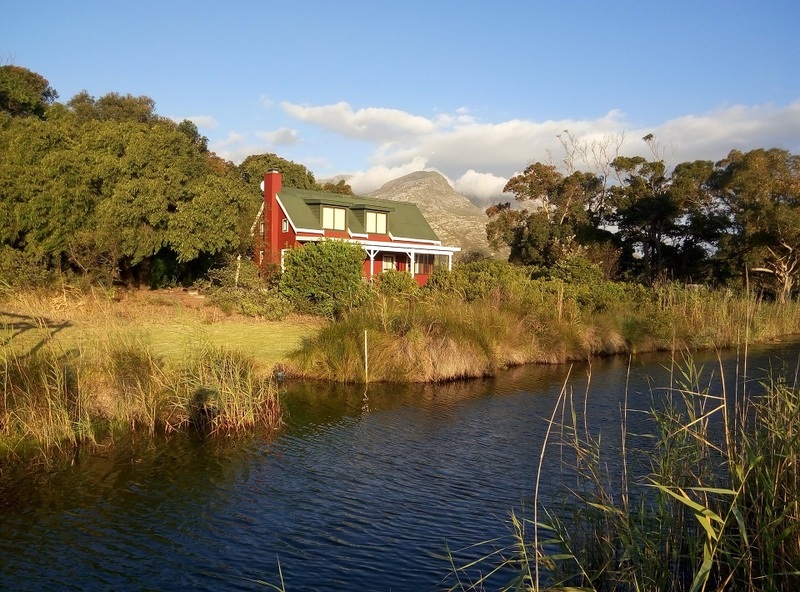 Enjoy a private outdoor braai area, shaded by trees near the banks of the river. There are numerous indoor and outdoor activities to provide enjoyment and pleasure to visitors and locals alike. 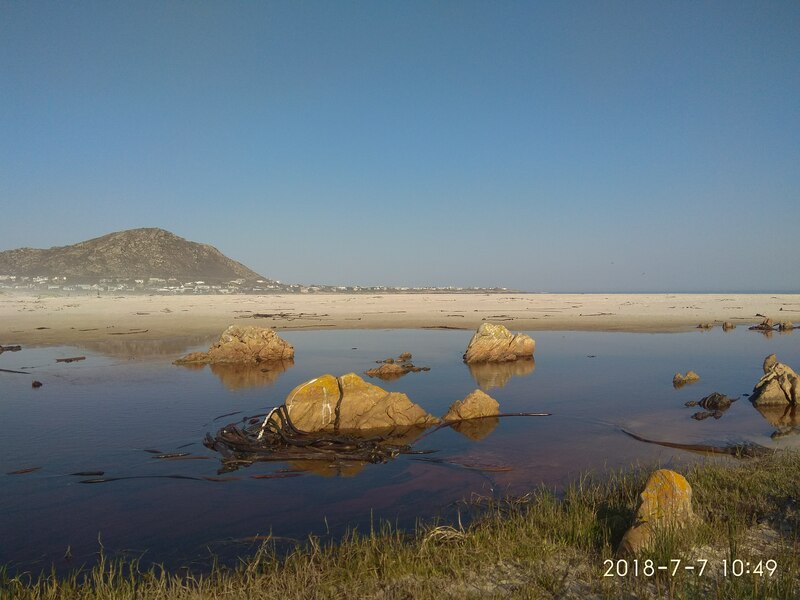 Canoe, row, or swim 500m to the Pringle Bay beach, or follow the footpath along the river, taking in the beauty and diversity of the indigenous Fynbos and birdlife. Birdwatchers will take great delight in seeing Kingfishers (Malachite, Pied, and Giant), Sugarbirds, Sunbirds, Jackal Buzzards, Spotted Eagle Owls, and a variety of garden and sea birds. Over 360 bird species can be found in the Biosphere. 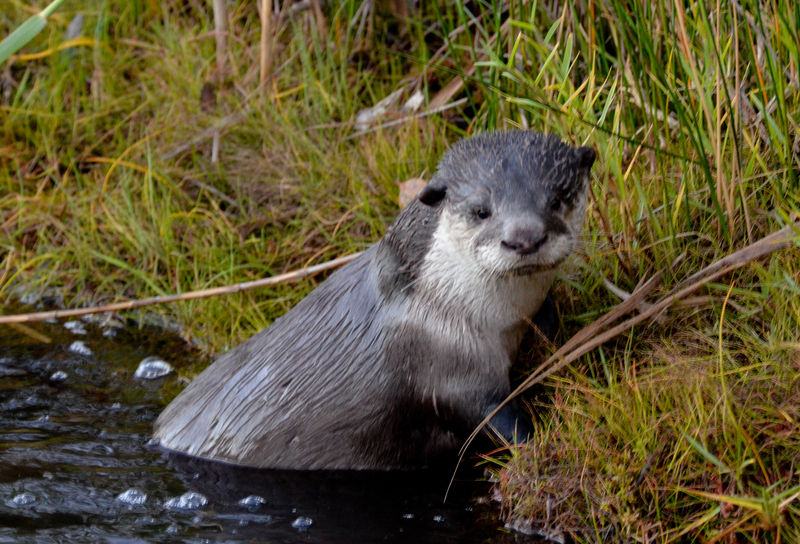 A family of Cape Clawless otters live on the upstream banks at Otter's Creek, and are sometimes seen playing on the grass, or swimming to and from the sea after sundown or at sunrise. Porcupines, mongooses, and small buck are occasionally spotted along the paths. Summary: A beautiful, unspoilt, uncrowded beach, with unrivalled sunsets! 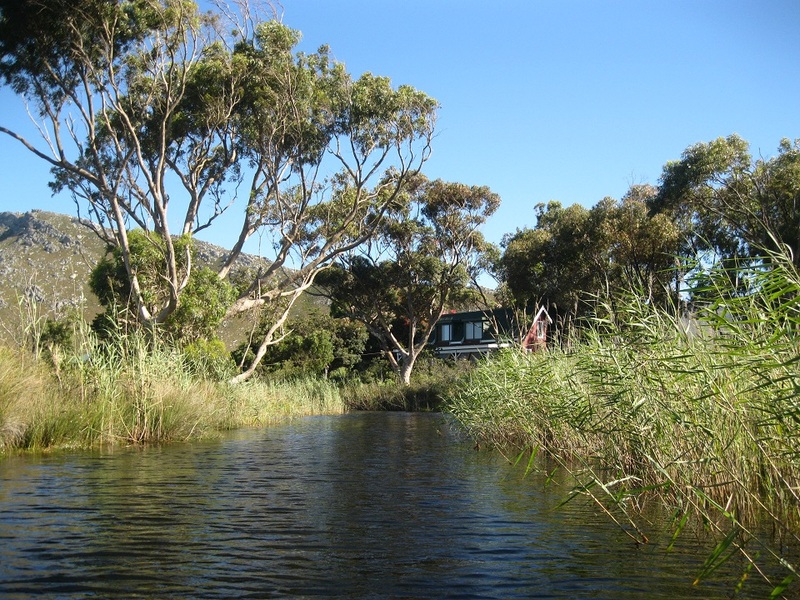 The River mouth often forms a lagoon providing a safe, shallow place for children to play. Plenty of space to run, play and explore. in the River. A Jungle gym on the banks of the river. 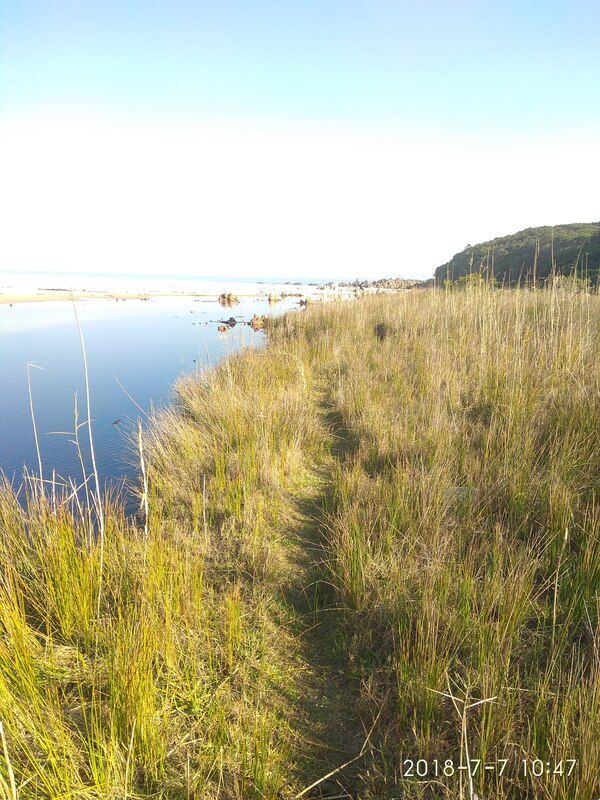 Swimming or canoeing up stream or down to the beach, or walk to the beach through the coastal fynbos.